Lineage. Constituted as 95 Pursuit Squadron (Interceptor) on 13 Jan 1942. Activated on 9 Feb 1942. Redesignated as: 95 Pursuit Squadron (Interceptor)(Twin Engine) on 22 Apr 1942; 95 Fighter Squadron (Twin Engine) on 15 May 1942; 95 Fighter Squadron, Two Engine, on 28 Feb 1944. Inactivated on 9 Sep 1945. Activated on 12 Apr 1947. Redesignated as 95 Fighter Squadron, Single Engine, on 15 Aug 1947. Inactivated on 2 Oct 1949. Redesignated as 95 Fighter-Interceptor Squadron on 11 Sep 1952. Activated on 1 Nov 1952. Inactivated on 31 Jan 1973. Redesignated as 95 Fighter-Interceptor Training Squadron on 15 Aug 1974. Activated on 1 Sep 1974. Redesignated as: 95 Tactical Fighter Training Squadron on 1 Apr 1988; 95 Fighter Squadron on 1 Nov 1991. Inactivated on 30 Sep 2010. Activated on 11 Oct 2013. Assignments. 82 Pursuit (later, 82 Fighter) Group, 9 Feb 1942-9 Sep 1945. 82 Fighter Group, 12 Apr 1947-2 Oct 1949. 4710 Defense (later, 4710 Air Defense) Wing, 1 Nov 1952; 85 Air Division, 1 Mar 1956; Washington Air Defense Sector, 1 Sep 1958; New York Air Defense Sector, 1 Jul 1963; 21 Air Division, 1 Apr 1966 (attached to Fifth Air Force ADVON, 15 Nov 1969-); 20 Air Division, 19 Nov 1969-31 Jan 1973 (remained attached to Fifth Air Force ADVON to c. 1 May 1970). 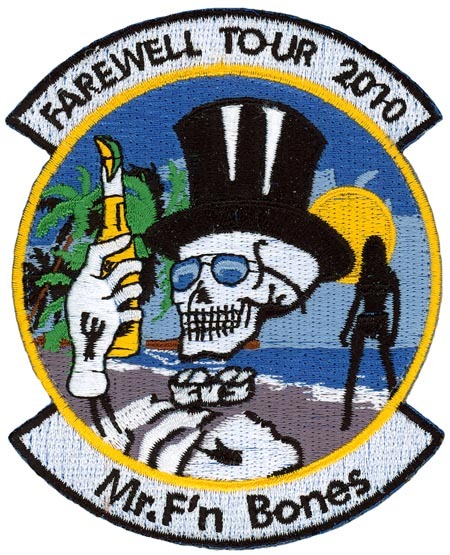 Air Defense Weapons Center, 1 Sep 1974; 325 Fighter Weapons (later, 325 Tactical Training) Wing, 1 Jul 1981; 325 Operations Group, 1 Sep 1991-30 Sep 2010. 325 Operations Group, 11 Oct 2013-. Stations. Harding Field, LA, 9 Feb 1942; Muroc Lake, CA, 30 Apr 1942; Mines Field, CA, 20 May-16 Sep 1942; Eglington, Northern Ireland, 3 Oct 1942; Tafaroui, Algeria, 24 Dec 1942; Telergma, Algeria, 1 Jan 1943; Berteaux, Algeria, 28 Mar 1943; Souk-el-Arba, Algeria, 13 Jun 1943; Grombalia, Tunisia, 4 Aug 1943; San Pancrazio, Italy, 3 Oct 1943; Lecce, Italy, 10 Oct 1943; Vincenzo (later, Foggia No. 17), Italy, 11 Jan 1944; Lesina, Italy, c. 30 Aug-9 Sep 1945. Grenier Field (later, AFB), NH, 12 Apr 1947-2 Oct 1949 (deployed at Ladd AFB, AK, 4 Apr-29 Jun 1948). Andrews AFB, MD, 1 Nov 1952; Dover AFB, DE, 1 Jul 1963-31 Jan 1973 (deployed at Osan AB, South Korea, 15 Nov 1969-c. 1 May 1970). Tyndall AFB, FL, 1 Sep 1974-30 Sep 2010. Tyndall AFB, FL, 11 Oct 2013-. Aircraft. P-38, 1942-1945. P (later, F)-51, 1947-1949. F-94, 1952-1953; F-86, 1953-1958; F-102, 1958-1959; F-106, 1959-1972. T-33, 1974-1988; F-15, 1988-2010. F-22, 2013-. Operations. Combat in the European Theater of Operations (ETO) and the Mediterranean Theater of Operations (MTO), 25 Dec 1942-3 May 1945. Air defense, Nov 1952-Dec 1972. T-33 qualification training and target support, 1974-1988. Air superiority and dissimilar air combat training, 1988-2010. NORAD alert duties, 1988-1990. After the 11 Sep 2001 terrorist attack on the World Trade Center in New York, NY, and the Pentagon in Washington, DC, flew combat air patrols over the southeastern United States. Trained F-22 pilots for combat operations, 2013-. Campaign Streamers. World War II: Air Offensive, Europe; Tunisia; Sicily; Naples-Foggia; Rome-Arno; Normandy; Northern France; Southern France; North Apennines; Rhineland; Central Europe; Po Valley; Air Combat, EAME Theater. Decorations. Distinguished Unit Citations: Italy, 25 Aug 1943; Italy, 2 Sep 1943; Ploesti, Rumania, 10 Jun 1944. Air Force Outstanding Unit Awards: 1 Jul 1976-30 Jun 1977; 1 Jul 1977-30 Jun 1979; 1 Jul 1981-31 Mar 1983; 1 Jun 1983-31 May 1985; 1 Jul 1993-30 Jun 1995; 1 Jul 1995-30 Jun 1996; 1 Jul 1996-30 Jun 1997; 1 Jul 1997-30 Jun 1999; 1 Jul 1999-30 Jun 2001; 1 Jul 2001-30 Jun 2002; 1 Jul 2002-30 Jun 2003; [1 Jul 2003]-30 Jun 2004; 1 Jul 2004-30 Jun 2005; 1 Jul 2005-30 Jun 2006; 1 Jul 2006-30 Jun 2007; 1 Jul 2007-30 Jun 2008; 1 Jul 2008-30 Jun 2009; 1 Jul 2009-30 Jun 2010; 1 Jul-30 Sep 2010. Emblem. Approved on 4 Feb 1954; newest rendition approved on 18 Jul 1995.